The last month of the year is here. Will it be the best one of the lot? I have a love-hate relationship with December. When the whole world rejoices and is in a holiday mood, the month always brings something nasty for me. Over the last couple of years, I have lost many loved ones – to death and to fate; all in December! So you get where this is coming from, I guess. Anyway, all I can do right now is to turn a blind eye and pay no heed as to what my heart silently whispers and warns every day and night. But first, here’s to a brilliant November which I had. We were never the best of friends, never looked alike and never shared secrets, shoes or clothes. But the bond is strong; in our hearts. If you follow my Instagram feed, you would know that I was home in Kerala. My sister got engaged (Yay!) and I cannot help but wonder how time flies. While I wish her a world of happiness, there is something in me that prays she hadn’t become older. She is still my little girl and I guess, she will always be. We were never the best of friends, never looked alike and never shared secrets, shoes or clothes. But the bond is strong; in our hearts. I am so grateful to know that she has found her man, that she is happy now and will be forever. The fights, the scoldings, the laughs, and cries – oh, that’s what you call home! Spending time with mom, helping her declutter her kitchen, cooking, cleaning and chatting about everything under the sun is something I did last month. It has been about five years since I stayed home with her, without my husband; that too, for over a month. While the pampering was on for a couple of days, soon things were back to normal. The fights, the scoldings, the laughs, and cries – oh, that’s what you call home! I’m eternally grateful to God for giving me this close-knit family. The surprise I got when I reached home was finding new members in the family – two furballs! While Dad subtly indicated that this was because he doesn’t have grandchildren to play with, I’m glad that the babies are home. Oh, yes. I was constantly pestered and nagged about ‘not having a baby’. But Mom and Dad at least tried to understand that it is because ‘we’ aren’t ready and not because we are failing. You know what I mean. Ha! My heart breaks as I think of the furballs. They made me calm, relaxed and sane again. Simba was like my baby. The three-month-old pug was showered with gifts as I ordered treats and toys for him. We played hide-and-seek and he always slept in my arms at night even though I got him a brand new bed. As I taught him to sit, stay and sleep I became the disciplinarian in the house. Well..well! While the kitty was super cute, I instantly knew that she had a mind of her own. She slept with mom and dad at night, had Simba’s food even when she had a separate food bowl, and came to me only when she wanted to be petted. Simba and Chakki play with each other and are best friends. Oh, how much I miss them! I met some of my favorite bloggers, the ones who I secretly or openly admire. Thanks to BNLF. ..and then it was time to leave. But this time, I flew to Dehradun to meet my online friends. Having put up in Pithoragarh, there is no way for me to meet friends, attend blogging events or meets. But where there is a will, there is a way. 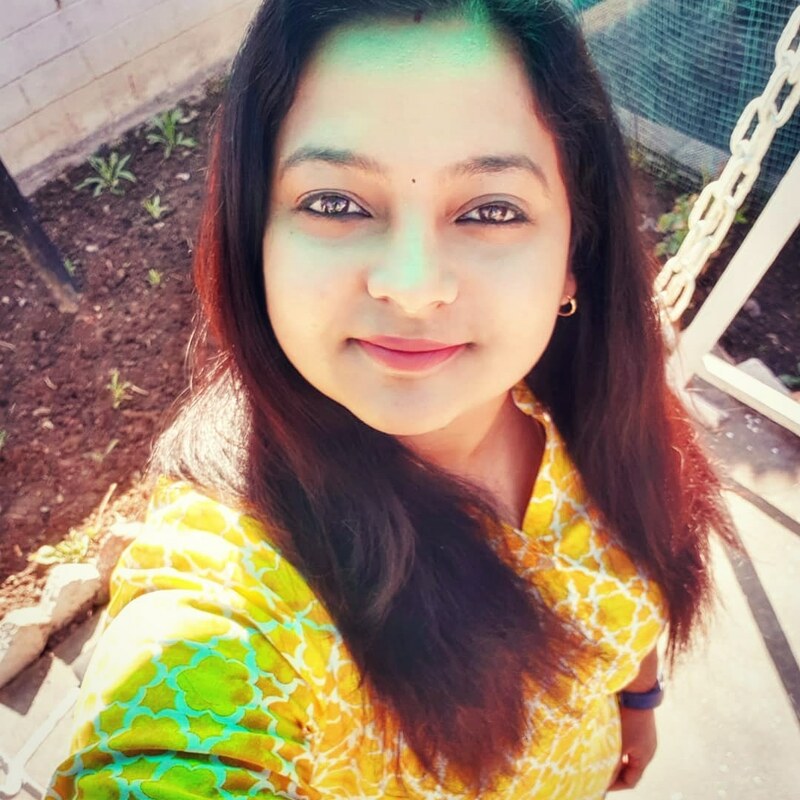 I planned my sister’s engagement just so that I could attend Indiblogger’s Blog Now Live Forever – BNLF. Having attended its first edition at Mumbai a couple of years ago, I knew I couldn’t miss it for the world. The expectations were high but never once did I think that I would make deep, soulful, beautiful friendships. The nippy November air added to the excitement as I met some of my favorite bloggers, the ones who I secretly or openly admire. But why did I actually attend BNLF? You will know soon. Maybe because I knew I wouldn’t be able to go past the first page without shedding a tear. The only book I read this month was the one I did not want to read in the first place. Like never. But as fate would have it, it was gifted to me by a friend and I knew I ought to read it. Letters from Kargil is a book by Diksha Dwivedi on Kargil War. She has put together her martyred father’s letters and diaries along with other Bravehearts’ who didn’t survive the war. Review coming up on Sunday. We went through something together. It was nothing short of a miracle. As I got back to P’s arms, I learnt how much I missed him. While he showered me with surprises- he set up a kitchen garden, got me Alicia’s quirky planner and a huge bunch of peacock feathers (I love it! ), I also realized how much he missed me the last few weeks. He isn’t an expressive man. But such little gestures from him makes me wonder what good deed I would’ve done to deserve a man like him. Too cheesy? Ha, let’s leave it at that. P and I went through something together last week and I think it as nothing short of a miracle. We survived. It taught us to count the blessings, have faith, have hope, to breathe, and to believe. Yes. Miracles do happen. Everything can change in the blink of an eye. We ought to make the best with those who mean the most. How was your November? What are you grateful for? Let me know in the comment section. Linking to #GratitudeCircle at Vidya Sury. Firstly, I am so sorry to hear of your losses in the late years. That last month of the year seems to be tough for many people for different reasons. It’s incredible though, that you’ve found so much to be thankful for and happy about – it’s really telling to what kind of person you are! I love your little section on being in your parent’s house without a spouse and being a kid again…totally know the feeling there! I think pets are such a great way to feel comfort, security, and gratitude. They are so in tune with us sometimes, maybe your little furry friend knew you needed a mindful break from typing away! Mine sure do – every time I am feeling overwhelmed with work it’s like one of my cats just appears out of nowhere onto my lap! Thanks for sharing your December thoughts and feelings – I hope this new year brings you joy. I thoroughly enjoy your Instagram photos–the commentary and photos are so delightful, Shalini! What a lovely post! All the right ingredients to make it perfect: Family, friends, pets! Hugs and thank you for linking up. I loved looking at your pictures on Insta while you were in Kerala and am so glad you had a great time! I’m sure hubby is thrilled to have you back! Cats are the best! They aren’t in a hurry. They aren’t distracted. Perhaps they are mindful of every minute of their lives. Maybe I should put a cat on my blog tomorrow – why not? There is just something about cats… Congrats on your sister’s engagement – and you are so right, life can change in an instant. Whatever happened, I hope it turns out well for you. What a lovely month you have had. Love your fur-balls. Simba is adorable. Chakki is cute too. Love her name. I have been meaning to buy Alicia’s planners. Checking them out right after this. Letters from Kargil… would love to read your review for this one. Have a great December, Shalini! Cheers! I fell in love with the simba and Chakki! I can see that November turned out to be a rocking month for you Shalini! I was following your BNLF posts and can imagine how much fun it must be to be among a group of bloggers. So good to read your post after a long time. Wish you a happy December. Loved reading your diary…You had a lovely month with family and then back to your Love. I had never seen a house with cat and Dog in the same place..Interesting! Shalini, it was great to have met you in DEhradun. The BNLF meet was an amazing experience and meeting you and the other blogger friends was the highlight of the trip for me. The memories of our fun filled days keep me company and makes me smile 🙂 Your November was an eventful one. Congratulations on your sister’s engagement. Hope to meet you again soon. Your gratitude list is great. Meeting blogger friends and family is fun. I too read letters from Kargil. Loved it. What a happy month you had! Loved reading and yes, I followed your IG feeds. Congrats on sister’s engagement. A month at Home sounds like a blessing. Wishing you even better December. Don’t think too much. Nothing will go wrong! Miss u sis .. we miss you very badly..
Shalz… you have had a complete roller coaster ride this November. From celebrations to unexpected bonds!! !you have been away from ) for soooo long, can truly understand what it must feel to be together again! Enjoy every bit of your moment together. The journey back home has been a bad one, an expereince no one should go through. Get well soon! and hoping you guys get to spend memorable moments together usehring in the new year!! I am so glad BNLF brought us together. Most unexpected and the three days together was the best thing to happen! !Cheers gal!!! Gosh, when you put up a post like this it does make you all the more mindful of the countless tiny blessings you miss out on appreciating in your blur of everyday life! Indeed an action and memory filled month. I am so glad to have met you. You and P stay safe and blessed. Your furballs will be missing you too. Thankfully you can use tech to see them live through video calling. You can do that from Pithoragarh right? Lots of love and hugs sweetie!